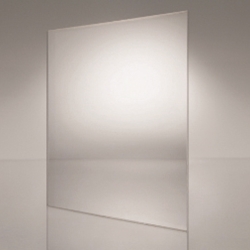 DURAPLEX® is a continuously processed acrylic sheet that is up to 10 times stronger than general-purpose acrylic, 30 times stronger than double-strength window glass and 50 times stronger than polished wire glass or other glasses. That strength equates to superior tolerance to shipping and handling. DURAPLEX® is available in custom impact blends and is offered in a range of thicknesses, widths, colors and patterns, as well as in flat sheet or roll stock.